Seasonal allergic rhinitis, commonly referred to as hay fever, affects millions of people worldwide. Symptoms include sneezing, stuffiness, a runny nose and itchiness in your nose, the roof of your mouth, throat, eyes or ears. These allergic reactions are most commonly caused by pollen and mold spores in the air, which start a chain reaction in your immune system. For instance, if you have an allergy to pollen, the immune system identifies pollen as an invader or allergen. Your immune system overreacts by producing antibodies called Immunoglobulin E (IgE). These antibodies travel to cells that release chemicals, causing an allergic reaction. Pollen are tiny grains needed to fertilize many kinds of plants. Pollen from plants with colorful flowers, like roses, usually do not cause allergies. These plants rely on insects to transport the pollen for fertilization. On the other hand, many plants have flowers, which produce powdery pollen that are easily spread by wind. These culprits cause allergy symptoms. Each plant has a period of pollination that does not vary much from year to year. However, the weather can affect the amount of pollen in the air at any time. 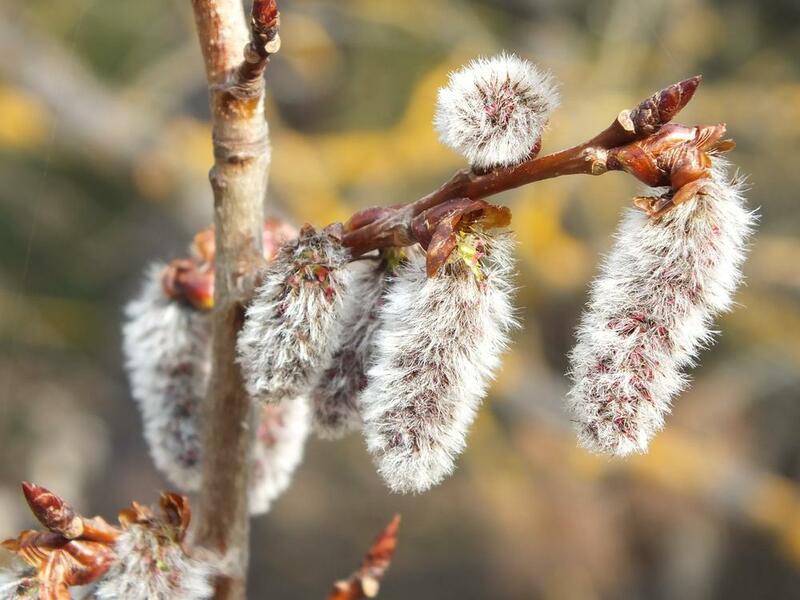 Seasonal allergic rhinitis is often caused by tree pollen in the early spring. During the late spring and early summer, grass pollen often cause symptoms. Late summer and fall hay fever is caused by weed pollen. In warmer places, pollination can be year-round. Molds are tiny fungi related to mushrooms but without stems, roots or leaves. Molds can be almost anywhere, including soil, plants and rotting wood. Their spores float in the air, much like pollen. Outdoor mold spores begin to increase as temperatures rise in the spring. In the United States, mold spores reach their peak in July in warmer states and October in the colder states. They can be found year-round in the South and on the West Coast. Pollen and mold counts measure the amount of allergens present in the air. There is a difference between a pollen count and a pollen forecast. Pollen counts reflect real-time conditions. Pollen and mold forecasts are often based on past pollen data and general weather forecasts. The National Allergy Bureau™ (NAB™) is the nation’s only pollen and mold counting network certified by the American Academy of Allergy, Asthma & Immunology (AAAAI). The NAB compiles pollen and mold levels from certified stations across the nation. You can find counts for your geographic region at www.aaaai.org/nab. The relationship between pollen and mold levels and your allergic rhinitis symptoms can be complex. Your symptoms may be affected by recent contact with other allergens, the amount of pollen exposure and your sensitivity to pollen and mold. Hay fever symptoms are often less prominent on rainy, cloudy or windless days because pollen does not move around during these conditions. Pollen tends to travel more with hot, dry and windy weather, which can increase your allergy symptoms. Some people think that moving to another area of the country may help to lessen their symptoms. However, many types of pollen (especially grasses) and molds are common to most plant zones, so moving to escape your allergies is not recommended. Also, you are likely to find new allergens to react to in new environments. If your seasonal symptoms are making you miserable, an allergist / immunologist, often referred to as an allergist, can help. Your allergist has the background and experience to determine which allergens, if any, are causing your symptoms. This information will form the basis of a treatment plan to help you feel better. Your personalized plan will include steps to avoid contact with allergens. Your physician may also talk to you about medications for temporary relief. If your symptoms continue or if you have them for many months of the year, your allergist may recommend allergy immunotherapy (allergy shots). This treatment involves receiving regular injections given in gradually increasing doses. This helps your immune system become more resistant to the specific allergen and lessen your symptoms as well as the need for medications. • Try to stay indoors when the pollen or mold counts are high. If your symptoms are severe, wear a pollen mask if long periods of exposure are unavoidable. When you return indoors, take a shower, shampoo your hair and change clothes. • Take any medications as prescribed. Seasonal allergic rhinitis is the medical term for the condition commonly referred to as hay fever. • Seasonal allergic rhinitis causes sneezing, stuffiness, a runny nose and itchiness in your nose, the roof of your mouth, throat, eyes or ears. • Avoiding exposure during times of high pollen and mold counts will help ease symptoms. • The majority of hay fever medications work best if started before a pollen season begins. • Allergy shots can often provide long-term relief of hay fever symptoms.